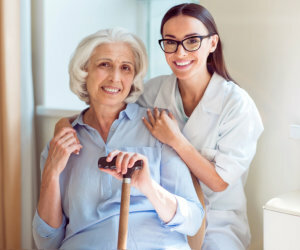 About Us | Home Health Care in PA | Progressive Health, Inc. Learn more about our home health care agency in Havertown, Philadelphia. “There is no place like home,” as the adage goes. Indeed, recovery rates for patients cared inside a more familiar environment go much faster and higher compared to that of patients confined inside a healthcare institution. Progressive Health, Inc. can be your partner in rebuilding your future by helping you recover from a recent illness that requires monitoring. We will help you deal with the stresses of healing; and as for family caregivers, we will assist you and make your load lighter in the process. Our agency is known for its unequivocal quality of healthcare services. Provided only by carefully selected Registered Nurses, HHAs, and therapists, we assure you of a much-hastened process of recovery, allowing you to enjoy life better. Be one with Progressive Health, Inc. in its pursuit toward building a worry-free state, especially for the sick and the elders. Call us today by dialing 610-789-1001 or access our contact us to send us a message online.